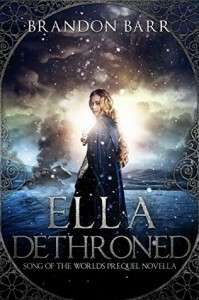 Ella Dethroned by Brandon Barr is a prequel novella (though it is stated as to being a stand-alone, this is a story that took place many years before the first book, Rise of the Seer) to the Song of the Worlds series. This is the story of Monaiella, a Luminess who likes to be addressed as Ella, and Rathan, her Life Protector. Brandon's beautiful prose lured me in and took me on an adventurous tale of determination, strength, and loyalty. 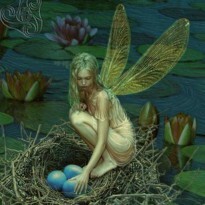 I loved learning of a previous Luminess in this ongoing series. This novella gives me an insight of the life as a Luminesses, and what they feared and longed for. This is a wonderful starting point in the series. Brandon's ability to bring his characters to life and bring out their emotions is what makes Brandon's writing intriguing and addicting. Brandon's ability to create worlds and take us on an engaging adventure is truly remarkable.